We are happy to announce that Stockholm University press publishes its 20th fully Open Access book, the edited volume: World Literatures: Exploring the Cosmopolitan-Vernacular Exchange, edited by Stefan Helgesson, Annika Mörte Alling, Yvonne Lindqvist, and Helena Wulf. As an adaptable comparative fulcrum for literary studies, the notion of the cosmopolitan-vernacular exchange enables accomodates also highly localised literatures. 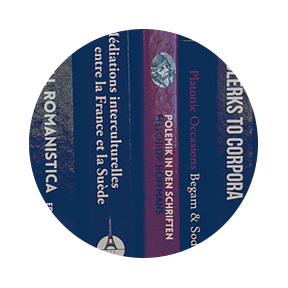 In this way, it redresses what has repeatedly been identified as a weakness of the world literature paradigm, namely the one-sided focus on literature that accumulates global prestige or makes it on the Euro-American book market. The book has been edited by Stefan Helgesson, Annika Mörte Alling, Yvonne Lindqvist, and Helena Wulf. World Literatures: Exploring the Cosmopolitan-Vernacular Exchange is the third volume of Stockholm English Studies, a peer-reviewed series of monographs and edited volumes published by Stockholm University Press.